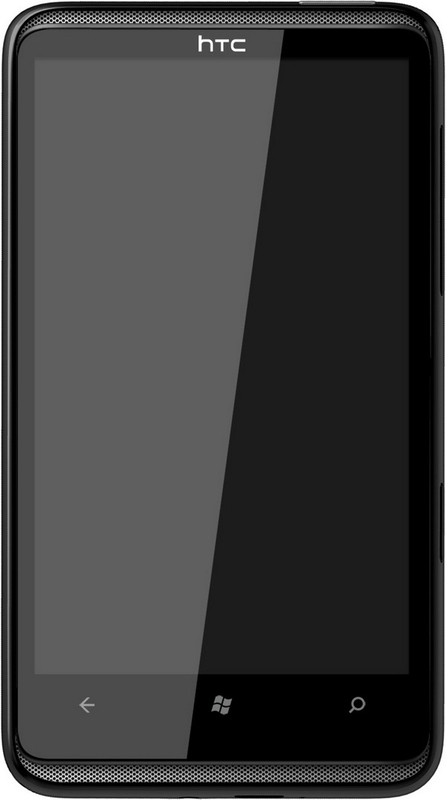 "The HTC HD7 offers high-fidelity surround sound and a large 4.3" screen to provide great experiences with music, video and gaming." Look familiar? 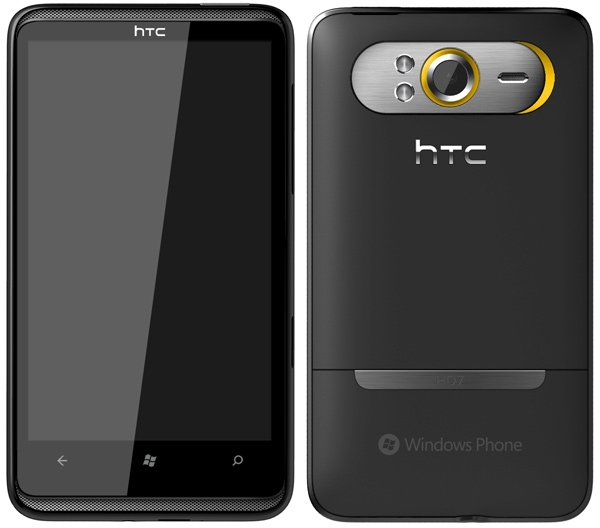 Yeah, this is basically the HTC HD2 with a few tweaks; that's not a bad thing, mind you, because the HD2 was a hell of a Windows Phone - the best one I've ever used in fact. I really like the kickstand concept, because a 4.3 inch screen is pretty good for watching a movie on a plane. The 720p HD video capture is also a nice perk! 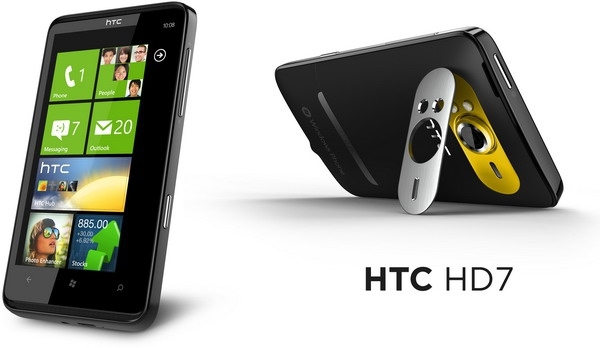 The HD7 will be available exclusively in the USA from T-Mobile. UPDATE: Incredibly, Microsoft's Press page had incorrect data. 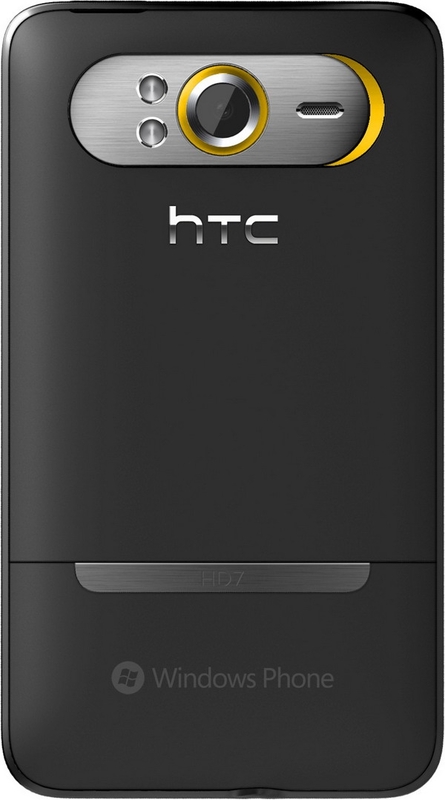 The HTC HD7 will come with 16 GB in the USA and the UK; in some other European countries it may have 8 GB. I have an HD2, and this would be a welcome upgrade. The only problem is the T-Mobile exclusivity. The way their service is where I live, there's no chance I'm going to switch carriers. My HD2 on AT&T is an imported Telstra version from Australia with a custom ROM to work in the US. I'm still going to get a WP7 device, but unless I find out that something similar is going to be possible for WP7 devices, I'm going to be sad. Just monitor Expansys or other similar sites and buy one when they will become available. In most of the European Countries sell a device only tied to a Carrier would be illegal......as Apple learnt whe they tried to do it.